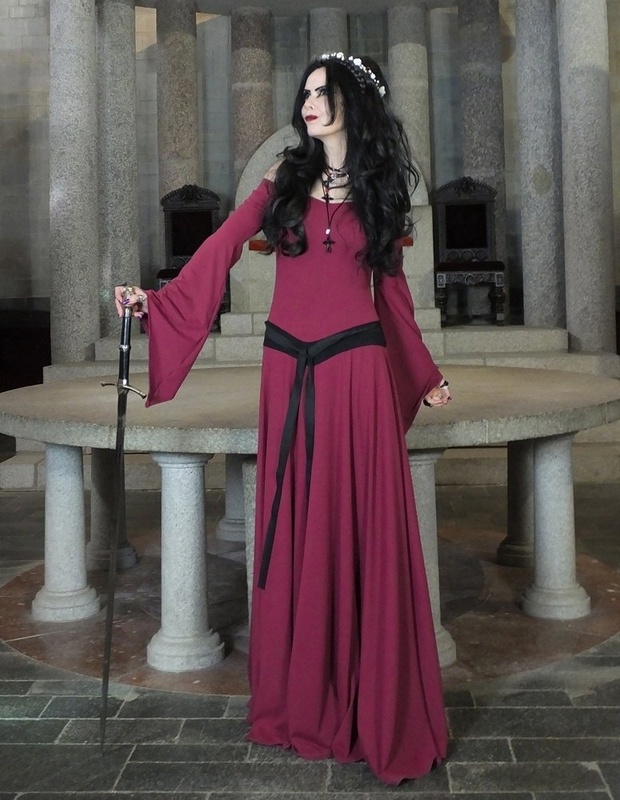 Our beautiful Eledhwen Gown - you'll feel like a medieval princess when you wear it! Everything about the gown flows perfectly, thanks to the soft cotton lycra that just swishes *everywhere! * The epic skirt is bias cut, with a massive hemline; flaring out from a contrasting "V" at the waist, with a black cotton binding tie to complete the look.